We’re researching a different way to treat frequent epileptic seizures. You may be eligible for a study on investigational oral film diazepam. If you are 2 to 65 years of age with frequent break through seizures while on regimen of antiepileptic medication(s) (with need of benzodiazepine intervention for seizure control at least 1 times a month on average), you may be eligible for a clinical research study evaluating the use of diazepam as an oral film instead of a rectal gel. A change in how you take diazepam could make all the difference. 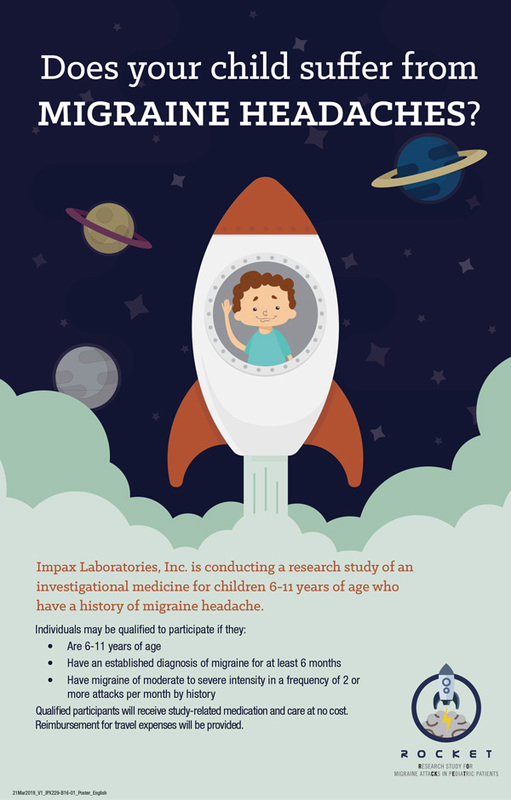 Doctors are conducting the ROCKET study to learn more about Zolmitriptan nasal spray (Zolmitriptan NS) for migraine headaches in children ages 6 to 11 years. Zolmitriptan NS has been approved by the United States Food and Drug Administration for migraine headaches in adults and adolescents ages 12-17. However, it has not been approved to treat migraine headaches in children under 12 years of age. The ROCKET Study is being conducted to see how safe and effective Zolmitriptan NS may be in the treatment of acute migraine headache in children 6 to 11 years old. Have You or Your Child been diagnosed with ADHD? Help local doctors with the ARTISTS 1 study evaluate an investigational drug for children and adolescents with Tourette syndrome. 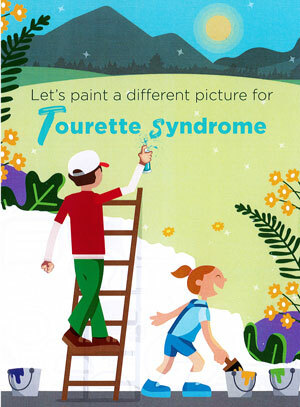 No one knows exactly what causes Tourette syndrome, but we do know how it can make you or your child feel. 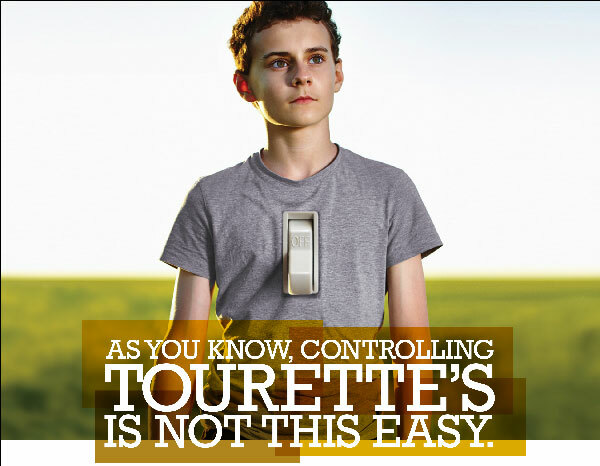 The tics related to Tourette syndrome can be embarrassing and create anxiety. This affects everyday life, which includes learning at school or hanging out with friends. While there are effective Tourette syndrome treatments available, these can cause side effects that keep people from using the medications. As a result, there is a need for medications that can help control tics and cause fewer side effects. In this study, doctors are evaluating an investigational drug that may have similar effects on tics, but limits side effects. They want to compare the investigational drug to placebo, which looks like the investigational drug, but contains no active medication. The investigational drug has not been approved for the treatment of Tourette syndrome and is only available in this study. The results of this study will provide more information about the investigational drug and whether it could one day be used to treat Tourette syndrome. Who is eligible to participate in the ARTISTS 1 study? All study-related visits, tests and drugs will be provided at no cost. In addition, reimbursement for study-related travel may be provided. What will happen during the ARTISTS 1 study? Eligible patients will be randomly assigned (like the flip of coin) to receive either the investigational drug or placebo. There is an equal chance of receiving the investigational drug or placebo. Patients, parents/guardians, the study doctor, and the study staff will not know the study drug (investigational or placebo) assignments. This is to prevent any opinions about the study drugs from affecting the study results. However, in the event of an emergency, that information can be provided. Patients will take their study drug twice a day for 12 weeks. A patient’s dose will be increased or decreased during the study by the study doctor in order to find the best dose to control your child’s tics. Total study participation will last approximately 4 1/2 months, which includes up to 8 visits to the study clinic for tests and assessments, as well as 5 telephone calls from the study staff. What are the benefits and risks related to the ARTISTS 1 study? While it is possible patients could experience some benefit from participating in this study, it cannot be guaranteed. However, the results of this study could help researchers better understand Tourette syndrome for future tests or treatments. It is also possible patients could experience a side effect during this study. The study staff will review the risks and side effects related to study participation with each patient and their parents/guardians prior to the patient joining the study. Because research studies can affect the health and safety of participants, patients will be monitored while in this study. The sponsor of this study was required to design a protocol, which explains all study procedures in detail. An independent review board responsible for participant safety reviewed this protocol and requires that it be followed exactly. 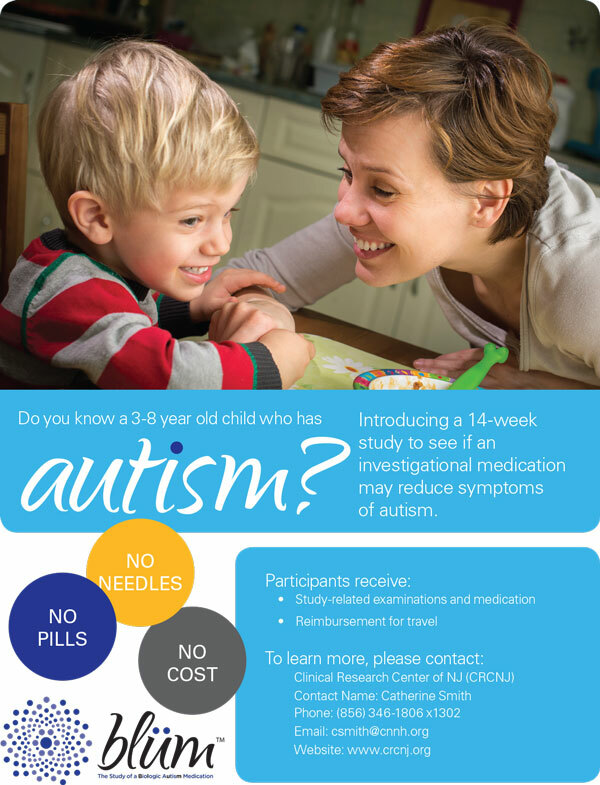 CRCNJ is now conducting a Phase III clinical trial for CM-AT, a potential first-in-class treatment for autism. CM-AT is developed by Curemark, LLC, a drug research and development company focused on the treatment of neurological diseases. CM-AT is based on Curemark’s recent research that showed enzyme deficiencies in some autistic children result in an inability to digest protein. The inability to digest protein affects the availability of amino acids, the building blocks of chemicals essential for brain function. CRCNJ is one of over 20 sites across the country conducting the blüm Phase III clinical trial of CM-AT in autism. CRCNJ is conducting various clinical trials that are not yet listed on this page, please contact us to find out if there is a clinical trial right for you. 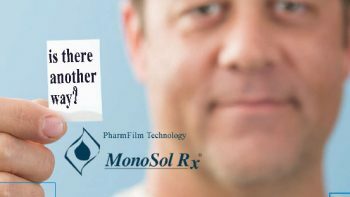 Thank You for your interest in a clinical trial!